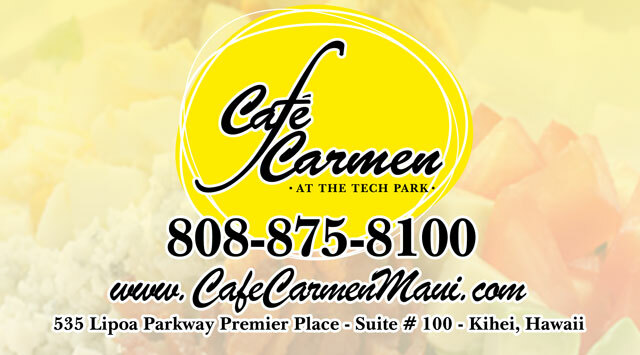 Cafe Carmen is located in Suite 100 at The Tech Park in Kihei (535 Lipoa Parkway). Serving up amazing breakfast, lunch, brunch and dinner 7 days a week! Cafe Carmen is open Monday to Saturday from 8am to 9pm, with Sunday Brunch from 9am to 2pm. The menu is full of fresh food specialties like soups, salads, sandwiches & paninis, Island Fish Tacos, Falafels and sweet treat desserts! Breakfast items to start your day include everything from Hot Espresso Drinks & Muffins to bagels, fresh fruit, breakfast burritos and breakfast paninis…so ono!! 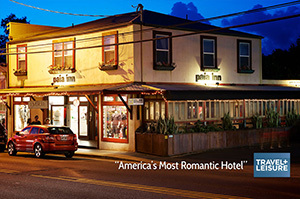 Dinner entrees include fresh salads & soups, Fresh Fish, Steak, Pork and their famous Cafe Carmen Lasagna..No ka `oi! 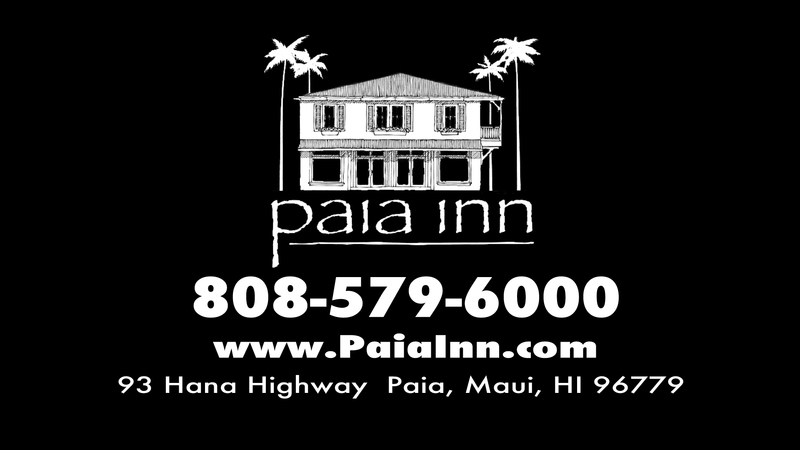 Just in the mood for some Pau Hana drinks and pupus? 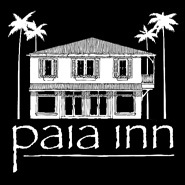 Stop by for Maui Wines on tap, Island and World Beers, Cafe Carmen’s Specialty Cocktails and Tapa Style Daily Pupus!! 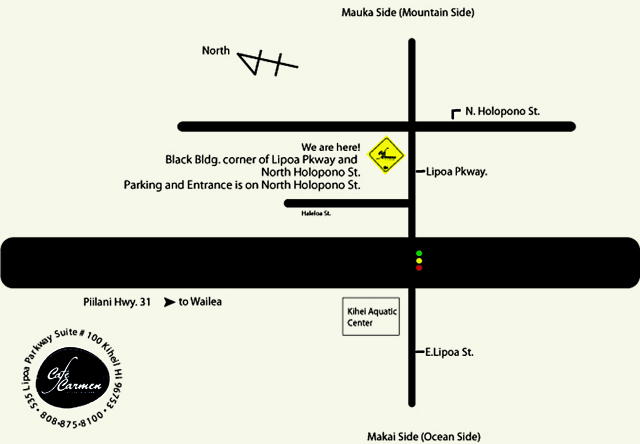 Located next to Dole Park at 419 Seventh Street, Canoes Lana’i restaurant is the place to go for Breakfast & Brunch on the island of Lanai. Canoes Lanai Restaurant features everything from Bacon & Eggs to Pancakes, Burgers and Loco Moco. 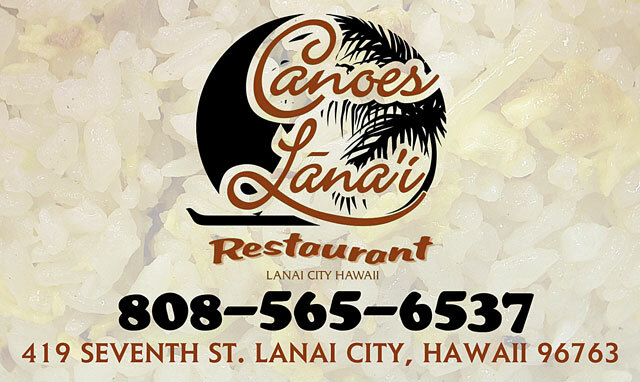 Canoes Lanai is open Thursday – Tuesday, from 6:30 am – 1 pm and sometimes dinner! For more information, check out Canoes Facebook Page and BECOME A FAN!